Anna Witholt Abaldo has been working at the intersection of art, nature, wellness and healing for over 20 years. Anna is a psychologist (M.A.) and movement facilitator (5Rhythms) by training and an artist and environmentalist at heart. In her twenties, she worked as an artist and writer on Aruba, creating exhibitions about the relationship between humans and nature, and writing for an American newspaper about art, food and the island’s wildlife. In her thirties she created and directed “The Moving Heart Studio,” a center for movement, creativity and personal growth near Amsterdam, which became the city’s top place for dance, yoga and meditation. 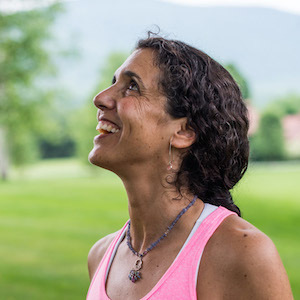 In her forties, she found herself in Maine and continued her work in the realms of movement and healing, founding SoulMoves Studio and teaching workshops internationally. Additionally, for the past six years, Anna has created and directed a gallery within Maine’s statewide land trust Maine Farmland Trust. The unique mission of celebrating agriculture through art has put her at the front lines where art, food and farming intersect. She has had the privilege of working with well over 100 Maine artists who believe in local food, farming and farmland preservation, and who see MFT Gallery as a unique vehicle which shares their art in service of a greater goal. 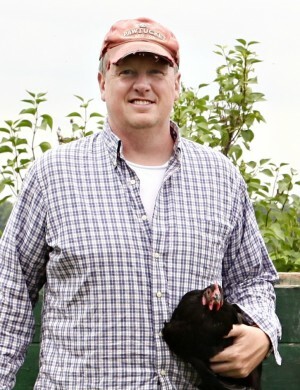 Jason is the Head Clucker of Locally Laid Egg Company, both farming and working with farmers. Prior to pursuing this passion, Jason kept a flock of backyard hens (or, as we call them, gateway livestock). He has worked as a fundraiser, grant writer and cause marketer for a number of non-profits. Jason served as an active-duty Army officer. 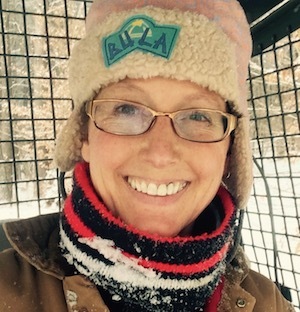 Lucie B. Amundsen is a writer, marketer and reluctant farmer. She and her husband co-own Locally Laid Egg Company, a farm that provides pasture-raised eggs in Northern Minnesota and partners with a total of eight other mid-level producers in Minnesota, Iowa and Indiana to source and sell in their own regions to reduce food miles and strengthen local economies. 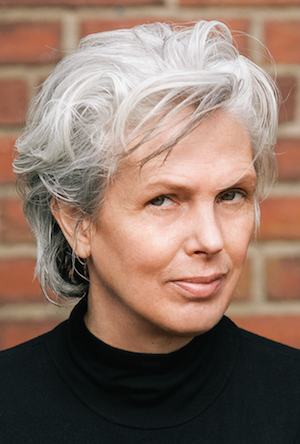 A former contributor to the Minneapolis Star Tribune and former editor at Reader’s Digest Association, Lucie has written for scores of publications in her decade-plus freelance career. Her recent Open Letter broke the Internet – okay, just Lucie’s little part of the Internet — with over 280K views! She’s also authored a narrative nonfiction, Locally Laid, about starting the farm and the stressed economics of Middle Agriculture slated for release Spring 2016 from Penguin Books USA. Marilyn Aronoff is a sociologist /anthropologist and taught at Michigan State University in the Department of Sociology until her retirement. She also had a research appointment at the Agricultural Experiment Station. She is a qualitative sociologist and depend on interviews and observation in her research– rather than quantitative methods. Marilyn’s special interests include social action in rural communities, local responses to environmental contamination and local community economic development initiatives. Enrique Balcazar has worked on Vermont dairy farms for over three years and so have his mother and father. 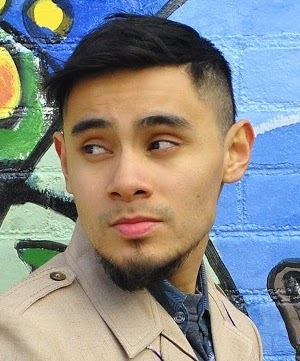 He is lead farmworker organizer in Addison County for Migrant Justice and came up having served as a leader in our successful driver’s license and bias-free policing campaign. Additionally, Enrique is a certified “Agricultural Justice” inspector having participated in an intensive training with partner organization CATA to learn about their “food justice certified” enforcement. 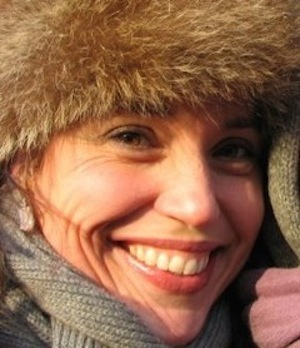 Cimbria Badenhausen, MBA is an Ecosystem Advocate, ecological design consultant and teacher. Her work embraces all opportunities to share insights and knowledge around ecological economics and workforce development. Cimbria considers ecological design to be the ideal framework for leveraging food systems in support of social justice. Her background includes work in civil service, environmental education, energy efficiency, housing, workforce development and governance. 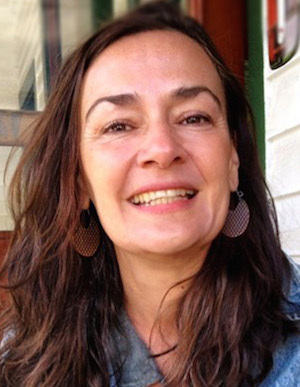 A founding member and organizer of Edible Brattleboro, Cimbria is committed to developing sustainable infrastructure and local sustainable economies incorporating stakeholder engagement, ecosystem services, and innovative technologies. Betzy Bancroft, RH (AHG) has had a deep appreciation for the magic of plants since childhood. 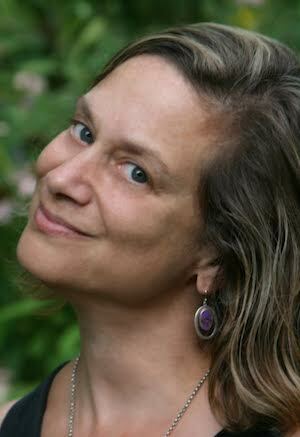 Currently Betzy serves as co-director and faculty of the Vermont Center for Integrative Herbalism in Montpelier, VT. She’s an advisory board member of United Plant Savers and a professional member of the American Herbalists Guild. 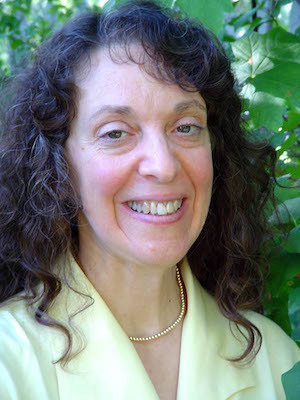 Betzy has been teaching herbal medicine for over two decades, including herbal and agricultural conferences. Food as medicine is one of her favorite topics, for which she draws together the philosophies of traditional medical and dietary systems, whole-foods nutrition and extensive experience in herbal medicine. Jamie is Director of Food and Nutrition at Brattleboro Memorial Hospital. He has worked in the food industry his entire career and over 20 years in the health care setting. 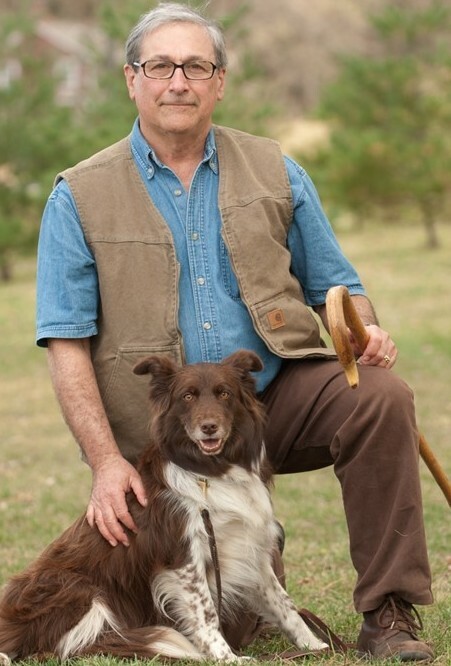 He has been instrumental in bridging working relationships with local farms and institutions, promoting sustainable agriculture and increasing total purchased volumes of locally sourced foods from Windham County, Vermont, and New England for Brattleboro Memorial Hospital. In collaboration with Vermont healthcare, DHMC nutrition directors, and Healthcare Without Harm they have been working together towards offering patients and staff, foods that are sustainably raised, locally produced, and nutritious and healthy. He has a passion for flavors and learning about various cultures and their use of food products. He piloted a program and created recipes for Main Sea Coast Vegetables, Inc. to incorporate sea weed into healthcare patient menus. Jamie is involved in many community projects and organizations to promote sustainably produced foods and products. He has worked on various committees and boards throughout his career and currently co-owns with his wife Barbara, a widely recognized catering company in Brattleboro, Vermont aptly named Vermont Seasons Fine Catering. 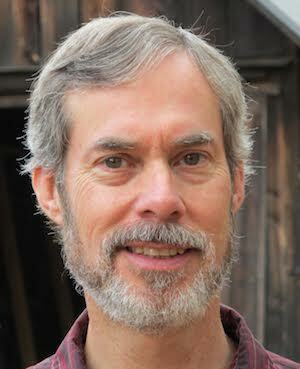 Richard Berkfield is the executive director and co-founder of Food Connects, whose mission is to cultivate healthy food and farm connections in classrooms, cafeterias and communities in and around the Brattleboro, Vermont area. Richard is committed to a Vermont food system that includes all members of the community regardless of income. He is a member of the Vermont Farm to Plate Steering Committee as Co-Chair of the Food Access Cross-cutting Team and recently joined the New England Food Summit as one of 12 Vermont delegates. 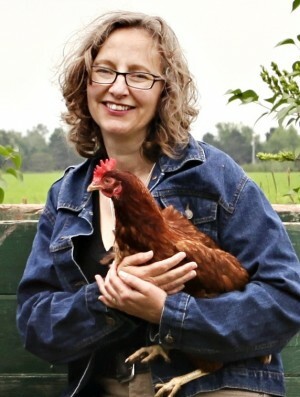 Ali Berlow is the author of The Food Activist Handbook and The Mobile Poultry Slaughterhouse, the co-owner of Edible Vineyard, and has been writing professionally for over 10 years. She got her start in 2002 with the NPR essay series “A Cook’s Notebook”. Nine years ago Ali founded Island Grown Initiative, a grassrooots non-profit on Martha’s Vineyard. Under her leadership and vision, Island Grown Initiative launched many of the types of projects and ventures described in this book. She lives in West Tisbury, Massachusetts and in Putney, Vermont. 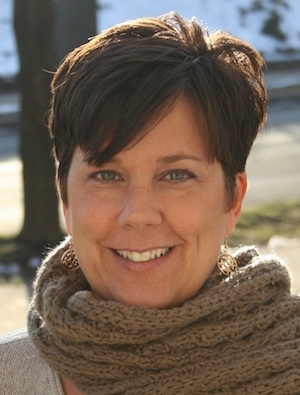 Nicole Berube is executive director of CitySeed. She is a seasoned non-profit professional with a background in AmeriCorps service and agriculture. 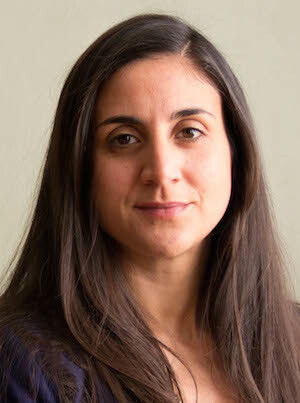 She is Executive Director of CitySeed, based in New Haven, CT. With an amazing staff, CitySeed is regarded for their model farmers market management, successful community programming and innovative initiatives as well as a healthy appetite for challenging discourse in the food system. Nicole lives with her family in Connecticut, cooking all manner of cuisines and constantly pondering whether she is ready for a flock of backyard chickens. John Steven Bianucci’s focus is maximizing Iroquois Valley Farms social and environmental impact and communicating its powerful story of leadership in creating a strong and healthy agriculture for all. Previously, he has been instrumental in re-branding, marketing, sales and product development at a leading media software company. 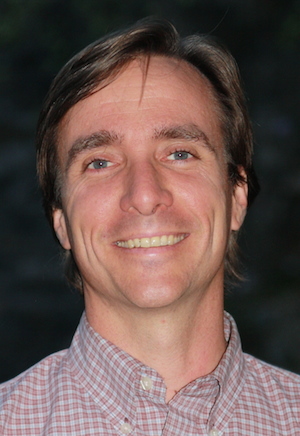 As an entrepreneur, John Steven has co-founded, published and edited three publications, one of which, Computer User, published monthly for over 20 years in 30 cities. 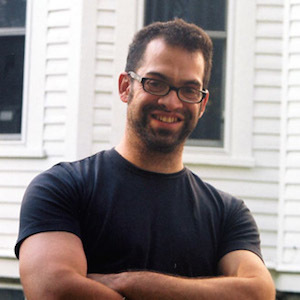 At Harvard College, Mr. Bianucci earned a Bachelor of Arts in Psychology & Social Relations, excelling in creative writing, as an editor of the Harvard Lampoon, and football letter winner. Passionate interest in wise eating and healthy food, food access and organic farming, began early. Percussionist and Gong Master Stephan Brandstatter’s musical journey has had years of varied drumming & percussive performances. He has worked with singer songwriters, blues guitarists, new music ensembles, rock bands, jazz ensembles, mimes, modern & classical dancers & in theatre. 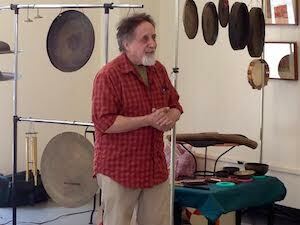 Added to his regular playing he has for the past 20 years pursued his passion of Sound Therapy exploring the benefits and healing qualities of vibrational resonating instruments such as gongs, chimes, bells, bowls, cymbals, hand drums and more. He’s been invited to commemorate Brattleboro’s Annual Aids Awareness Day, dedicate ground for The Brattleboro Hospice, officiated at weddings, assisted meditation groups & offered healing sessions to the sick and elderly. It’s his understanding, belief & firm commitment that the Power of the Gong can help heal people and our planet. He currently is developing a duo with Dennis Waring and working on his recording project “Spirit & Energy of the Gong” for release in 2015/2016. Keep an open mind: Tune In and get Tuned Up. 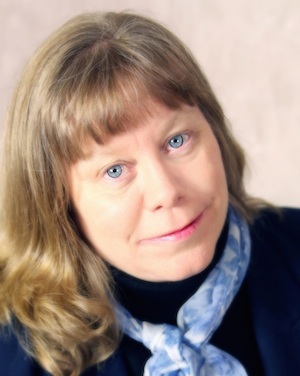 Ingrid Bredenberg is a strategic coach and creativity expert at Bredenberg Associates. She is known for her fresh approaches to creativity and collaboration. She has worked with hundreds of local and international leadership teams, guiding them in envisioning, planning and implementing systems for sustainable futures. As a certified Holacracy™ Practitioner, she introduces clients to integrated decision-making and evolutionary governance practices for purpose-driven organizations. She facilitates large-scale community conversations using Open Space Technology, World Café and Appreciative Inquiry. She is on the faculty of several regional leadership programs and Marlboro’s Graduate Studies Program, where she teaches Leadership and Management in the Health Care Administration department. 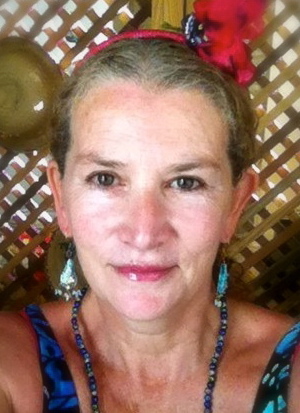 An avid gardener and dancer, Ingrid also facilitates workshops on building and using labyrinths for self-discovery, problem-solving and contemplation. 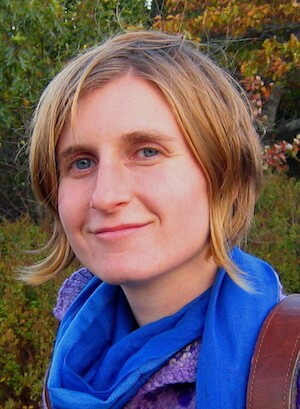 She will be facilitating the creation of a Peace Labyrinth at the Slow Living Summit. 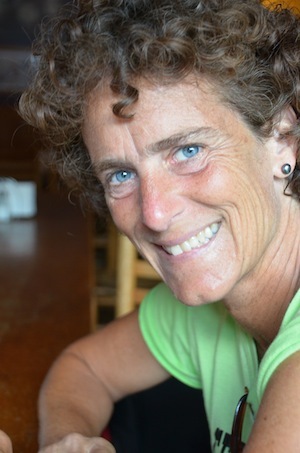 Nancy Cain is a co-owner of Against The Grain Gourmet, a national gluten-free bread and pizza company and the fastest growing company in the state of Vermont. She is the author of the recently-published cookbook: Against The Grain: extraordinary gluten-free recipes made with real, all-natural ingredients. Nancy holds a Ph.D. in Psychology and has been an academic, an investment banker, and in her dark years, a real estate agent. Margaret Christie is the Special Projects Director at Community Involved in Sustaining Agriculture (CISA) in the Pioneer Valley of Massachusetts, where she focuses on food system development and communications. 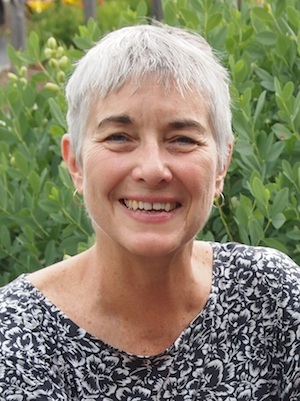 Margaret was CISA’s Executive Director from 1997-1999, when the Be a Local Hero, Buy Locally Grown® program was launched, and also served as CISA’s Interim Executive Director in 2008. 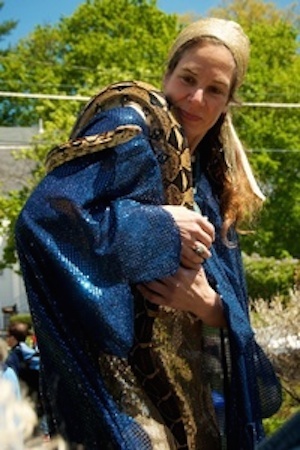 Previous to working at CISA, Margaret worked for the University of Massachusetts Integrated Pest Management Program and the Northeast Organic Farmers Association, Massachusetts chapter. She has an M.S. in Rural Sociology from the University of Wisconsin, Madison, and a B.A. in Sustainable Agriculture from The Evergreen State College. Margaret and her family grow lots of food for their own use. Chef Timothy Cipriano, VP of Brand Development for Hooray Purée, is a pioneer and leader in school nutrition on both the operations and political advocacy sides. 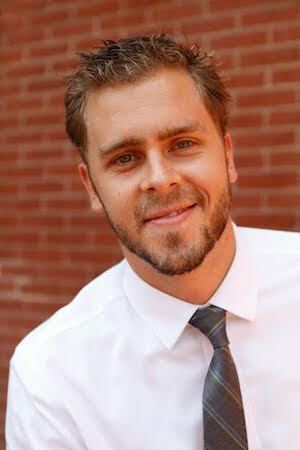 He volunteers with many national organizations and has spoken nationally on the subject of educating school children where food comes from and teaching school nutrition professionals how to effectively market real food to students so they eat it. In 2010, he was one of ten chefs handpicked by the White House to coordinate Chefs Move to Schools, part of the First Lady’s Let’s Move Campaign. In 2011 Chef Tim was recognized for his commitment to hunger advocacy and feeding children real food and was named a Champion of Change by The White House. 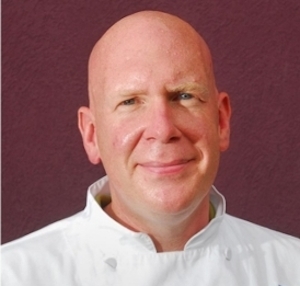 In June of 2012, Chef Tim was named one of the Top Twenty Most Influential People working in Non-Commercial Food Service by Food Service Director Magazine. Stacia Clinton, RD. LDN. is the New England Regional Director and on the National Leadership Team for Healthy Food in Health Care, a national program of the global non-profit organization Health Care Without Harm guiding local and sustainable institutional purchasing and program development. Nationally she serves as the Health Professional Engagement Co-Coordinator identifying strategies and opportunities to engage clinicians in public health and food system change. She brings her experience as a registered and licensed dietitian in the state of Massachusetts, serving as past-chair of the Hunger and Environmental Nutrition dietetic practice group. In addition to this, Stacia has extensive experience in the field of food service and clinical nutrition management with past positions in small and large scale health care facilities. Stacia speaks nationally on topics of sustainable food systems, policy advocacy, and systems-based interventions. Her commentary has been featured in publications such as Today’s Dietitian, Food Service Director Magazine and numerous local outlets. Stacia has assisted in authoring educational tools for the health care sector such as; The Food-Climate Relationship, Hydrate for Health: A Call for Healthy Beverages in Health Care, and Environmental Nutrition: Redefining Healthy Food for the Health Care Sector. Taylor is Co-Founder, Good Food Jobs. Her path to food enlightenment started long before founding Good Food Jobs. At Cornell University she studied Hospitality Management and then completed a Masters in Food Culture at the University of Gastronomic Sciences in Italy. The program afforded her the opportunity to visit various farms and food artisans throughout Europe, where she observed how food fit into daily culture. She promptly moved back to the United States, and after three years of running the Education department at Murray’s Cheese (NYC), Taylor teamed up with fellow Cornell alum Dorothy Neagle to create Good Food Jobs. Their common goal is to build community around the desire to find fulfillment through one’s day-to-day work. Taylor’s blog. 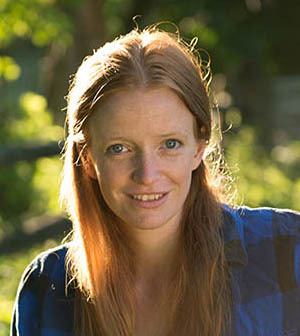 Louisa Conrad started Big Picture Farm (along with her husband, Lucas Farrell) in 2010. They started their business with three goats and brought their goat’s milk caramels to the Brattleboro Farmer’s Market when they were still working for Peaked Mountain Farm in Townshend, VT. Five years later, they now have a herd of 50 goats, and their award-winning caramels and farmstead cheese are sold nationwide. Their products have been featured in the New York Times, Martha Stewart Living, Food & Wine, Bon Appetit, and elsewhere. Skye Cornell is VP of Programs at Wholesome Wave, a national nonprofit working to enable underserved consumers to make healthier food choices by increasing affordable access to fresh, local and regional food. As a member of Wholesome Wave’s executive team, Skye is responsible for building diverse alliances and strategic partnerships. She also oversees national strategy and operations for the Double Value Coupon Program and Fruit & Vegetable Prescription program. In five years with Wholesome Wave, she has had a leadership role in scaling these programs to 28 states at nearly 400 farmers markets, retail outlets, community health clinics, and hospitals in a way that honors unique communities. Formerly, Skye worked on brand strategy and marketing for Fortune 500 corporations. She received her Master of Business Administration from Sacred Heart University. Cyndal Ellis is manager and co-director of SoBo Studio. She also teaches Tribal Fusion Belly Dance and Modern Dance both at SoBo and at area schools. Cyndal has over 20 years of dance experience. 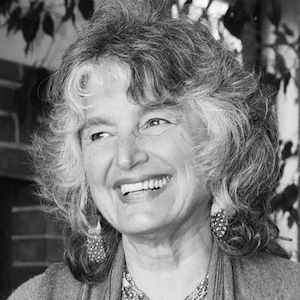 She has taught at Jacob’s Pillow, Smith College, Landmark College, and grade schools throughout New England. She co-founded The Sovereign Collective with which she performed and taught nationally. She was also one of the co-directors of Firekeeper Productions and toured the mulit-media production “The Mabel Story” throughout New England. Cyndal loves to share the joy of dance with people of all ages and abilities. Shanta L. Evans-Crowley is our 2015 Slow Living Summit coordinator. Shanta is a multifaceted professional and artist. 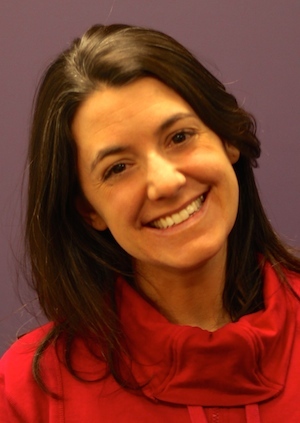 She serves as the part-time Director of Development at the Windham Child Care Association. Additionally, she is a media and publicity maven/ marketing consultant/buzz generator for several projects and clients in spanning from Brattleboro, VT, New York City, and abroad. Shanta has an MBA and an undergraduate degree in Women, Gender and Sexuality and sits on the Women’s Freedom Center Board. She is a regular contributor to the Brattleboro Reformer with regular featured writings on her blog, Real Talk, and her various social media sites. She is currently working with Liz LaVorgna on photography project, “Perfect Imperfection,” which focuses on challenging the social pressures to be perfect. 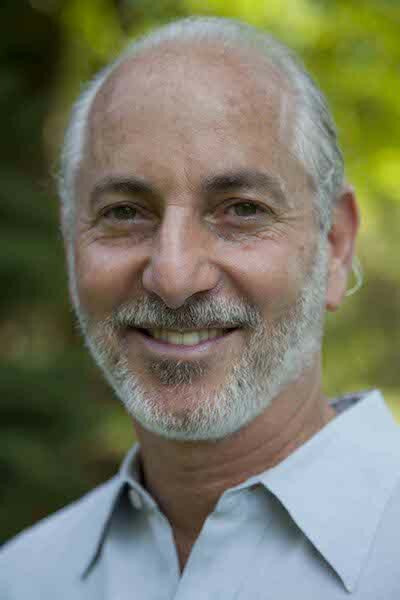 Michael Finkelstein, MD has been featured in media including The New York Times and CNN; is a health blogger for The Huffington Post; has presented at venues including GE Corporation and Omega Institute; and is the author of Slow Medicine, endorsed by Andrew Weil, MD and Mehmet Oz, MD. Dr. Finkelstein has distinguished himself as a doctor in private practice and as the medical director of major hospitals and health institutes. He offers both a micro and macro point of view on today’s healthcare needs, providing a tried-and-true solution for healing individual patients and the medical system as a whole: Slow Medicine. Paula Francis offers consultant services to NGOs through her business, Inspired Consultation. 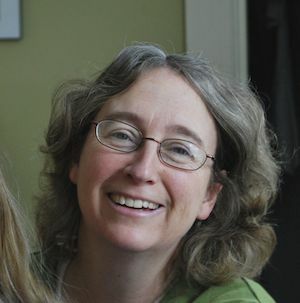 She is on the board of Gross National Happiness USA and is a member of Vermonters for a New Economy coalition. Paula lives in Montpelier with her husband. Their youngest daughter is a student at UVM and their elder daughter lives and works in D.C. Her other interests include Shamanism, Buddhism and traveling, including by foot! 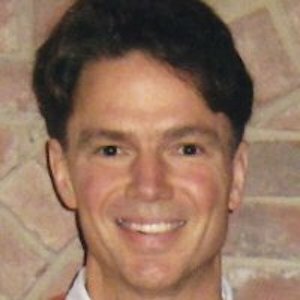 Richard French is founder and CEO of Bagel Works, Inc., d/b/a Works Bakery Café, a regional chain of cafés located throughout northern New England. The company operates stores in four states and employs 140 associates. Bagel Works, Inc. has been featured on the Today Show, Vermont Public Television Venturing Series, Inc. magazine, and mentioned in many other books, magazines, and publications that focus on environmentally- and socially-responsible businesses. Richard has been recognized as one of the New Hampshire Outstanding Business and Civic Leaders Under 40. In 2012, the Works Bakery Café was awarded the Monadnock Green Business of the Year and was the first restaurant chain to be certified Green Business Restaurant by Vermont Business Environmental Partnership, a partnership between the Vermont Department of Environmental Conservation and Vermont Small Business Development Center. Richard is currently a board and finance committee of Sophia’s Hearth Family Center in Keene, New Hampshire. He is a former board member of BSR-NH (Businesses for Social Responsibility) and Forest Trade—the largest importer of organic coffee and fair trade spices in the U.S.—and was on the advisory board for Chittenden Bank’s Socially Responsible Banking Fund. 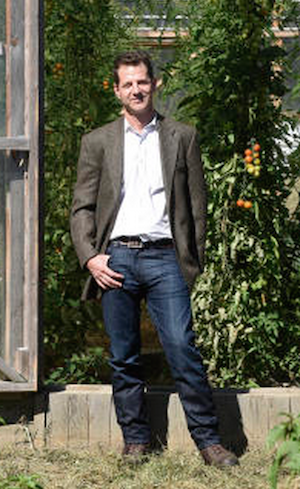 The Kindle Farm School was in its fledgling years when Drew Gradinger began working there in 1998. Over the course of the last 16 years he has had a variety of positions including classroom assistant, middle school teacher, Assistant Director and now he is the Director of the school. Drew has seen the Kindle Farm School grow from 1 van and 10 kids in the annex of a local public library to the thriving school serving nearly 50 students that one sees today. Drew’s passion is to support boys and young men as they explore their identities and navigate their education. “As Assistant Director of the Kindle Farm School, I am on a team that creates an environment where profound relationships are the foundation for a trusting and effective school, as well as an incredible agent of change”. His work day is filled with activity, challenge and community building which truly allow these real relationships to develop. Drew also finds a deep joy working in sustainable agriculture and with organic foods. His work on organic farms feeds the schools vision of increasing access to organic and low processed foods for staff and students alike. Drew found that working on farms and with food, he was able to counteract some negative aspects of our agribusiness food system while connecting with the Earth, people, fresh air and sun. When Drew is not working, he is home with his wife, children and friends, working on their new farm, and living the Vermont dream. 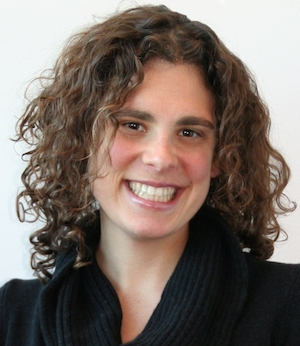 Rachel Greenberger received her MBA in 2011 with a concentration in food-system innovation. On graduation, she launched Food Sol at Babson College, an action tank for food entrepreneurs of all kinds who are contributing to a brighter food future. 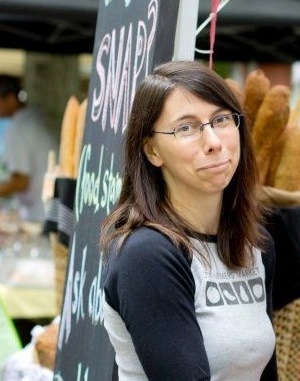 Rachel writes on food-system dynamics and food entrepreneurship for Examiner.com. 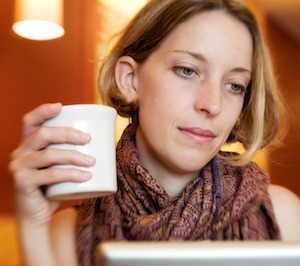 For sharing knowledge and perspective, Twitter is her preferred platform. Follow her at @businessforfood. Vern Grubinger has been working with and learning from farmers for 30 years. 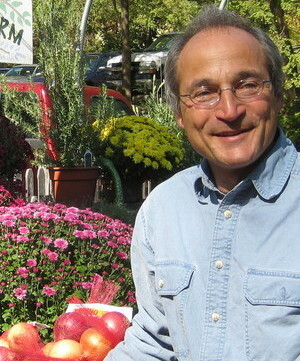 He is the vegetable and berry specialist and Extension Professor with the University of Vermont, and coordinator of USDA’s Northeast Sustainable Agriculture Research and Education program (SARE), which awards $4 million annually in grants to researchers, educators and farmers across the 12 Northeast states. 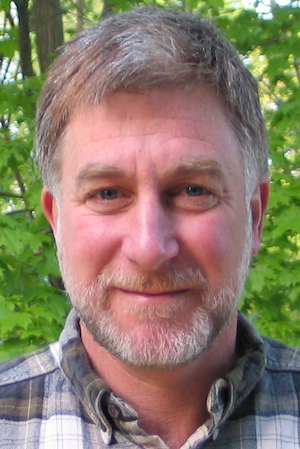 He helps lead the eXtension Farm Energy community of practice, serves on the Town of Dummerston Farmland Protection committee, and has been on the boards of the Vermont Land Trust, Brattleboro Food Coop, Windham County Farm Bureau and Northeast Sustainable Agriculture Working Group. He writes monthly columns for Farming magazine, airs occasional commentaries on Vermont Public Radio, and consults individually with hundreds of farmers each year. His degrees in agriculture are from Cornell and UMass Amherst. He authored the books Sustainable Vegetable Production from Start Up to Market and With an Ear to the Ground: Essays on Sustainable Agriculture. A new book, Farms, Food and Communities: Exploring Food Systems that he authored with Lisa Chase was published in 2014. 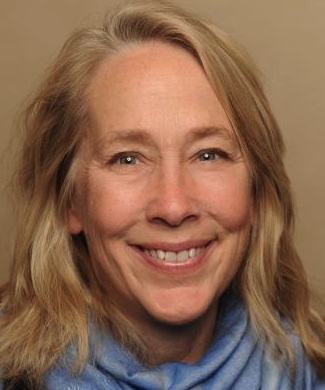 As Director of Advocacy Resources and the University of Connecticut’s Rudd Center for Food Policy & Obesity, Carol coordinates the Center’s work to empower community organizations with the evidence-base to improve food environments in all communities. Carol also works closely with state and local advocates to develop the tools and resources necessary to support successful policy change efforts. Prior to joining the Rudd Center, since 2009 Carol served as Deputy Project Director for Save the Children’s Campaign for Healthy Kids where she was responsible for strategy development and policy activities that supported state-level policy change efforts across the country to address childhood obesity. Prior to this position, Carol served as Legislative Assistant to State Senator Gayle Slossberg at the Connecticut General Assembly. 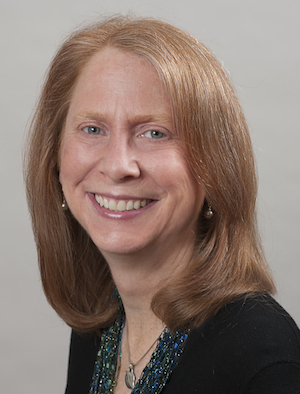 Carol has also previously worked for United States Congressman Bruce Morrison and United States Senator Joseph Lieberman, both of Connecticut. Carol has also worked as campaign manager and finance director for state and federal political campaigns. 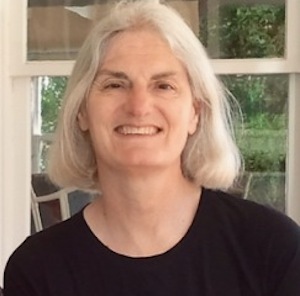 She holds a Bachelor of Sciences degree and a Master of Sciences degree, both in political science, from Southern Connecticut State University. Carol is also a Mom to three children. She is an active member of her local PTA and serves on her district’s wellness committee and nutrition and physical activity subcommittee. Cheesemaker and entrepreneur Allison Hooper was one of the first artisan cheesemakers in the United States. 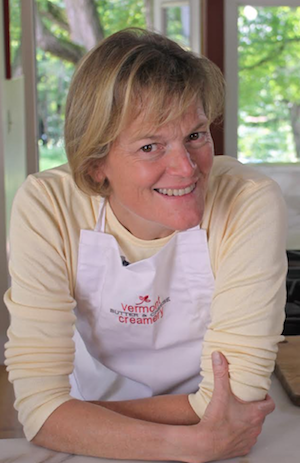 Hooper and her business partner Bob Reese co-founded Vermont Butter & Cheese Company in 1984 and started bringing the everyday cheese and dairy delicacies of France to the American table. At the helm of the artisan cheese movement in Vermont and as president of the American Cheese Society from 2005 to 2008, Hooper has been a voice for and mentor to U.S. cheesemakers. Today Vermont Creamery creations have won more than 100 awards nationally and internationally over the past 30 years including the US Small Business Administration “Small Business of the Year” for Vermont in 1996. 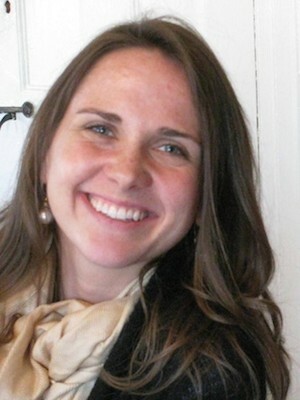 Allison won the “Terry Ehrich Award” for sustainable business by VBSR (VT Businesses for Social Responsibility) in 2011. With $2,400 capital investment in 1984, Vermont Creamery has built a national brand in the “farm to table movement”. After 27 years of business the creamery assembled “patient capital” to buy a former Jersey dairy farm in Randolph, Vermont. The mission of the Ayers Brook Goat Dairy is to develop a sustainable model for goat farming in the region, provide students and wannabe farmers with internships to learn goat husbandry and financial planning, and to distribute superior genetics to future goat farmers in Vermont. When Allison is not selling or teaching about cheese coast to coast, helping with milking at the farm, or entertaining food bloggers, she can be seen riding her bike to work or on Vermont roads with her husband, Don. They enjoy gardening, haying, raising a few steers, and general dubbing on their 62 acre hill farm in Brookfield. They have three sons: Miles (22) who fixes/welds everything and manages the crops at Ayers Brook. Twins, Sam and Jay (20) assist at the farm and creamery over school breaks. Noah Hoskins is one member of the four person team that manages The Bunker Farm in Dummerston, Vermont. A life long resident of this area, Noah is responsible for the animal husbandry operation on the farm. He also works at The Putney School and is a member of the Board of Trustees of the Vermont Land Trust. More information on The Bunker Farm can be found at thebunkerfarm.com or on Facebook! Seth Itzkan is President of Planet-TECH Associates, a consultancy focusing on trends and innovations. Seth has twenty five years experience consulting with private and public agencies on strategies for success in changing times. Seth is a graduate of the Tufts College of Engineering and the University of Houston Masters of Science Program in Studies of the Future. (See Boston Globe article, The Local Forecast, which prominently features Seth). Katherine Jandernoa works closely with food service professionals, teachers, administrators, and school families to integrate local foods into cafeterias, educate students about healthy eating habits, and embed farm to school activities into roughly 30 school communities in Southeastern Vermont. Additionally, Katherine co-chairs the Hunger Council of Windham County, sits on the Vermont Farm to School Network Steering Committee, the Fit & Healthy Kids Coalition of Windham County, and the United Way of Windham County’s Health Team. Katherine holds a masters degree in sustainable development from the SIT Graduate Institute and has worked in the renewable energy and public health fields. Terry Jenoure, musician, visual artist, writer and educator was born and raised in the Bronx into a Puerto Rican and Jamaican family. She has a Bachelor’s degree in Philosophy, and Masters and Doctoral degrees in Education. 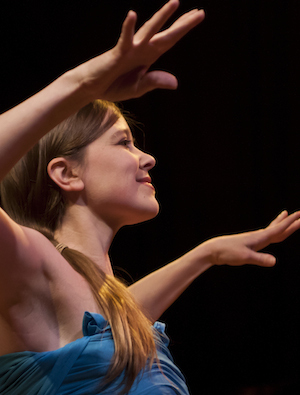 She has performed, exhibited and taught on five continents. For 18 years, Terry was on the graduate faculty at Lesley University, and is the Director of Augusta Savage Gallery at the University of Massachusetts in Amherst. Her book NAVIGATORS: African American Musicians, Dancers, and Visual Artists in Academe is published by SUNY Press, and she is a recipient of grants from the National Endowment for the Arts (NEA) and New England Foundation for the Arts; and has been a consultant for the NEA, the Lila Wallace Readers Digest Fund, the Ford Foundation, and the Connecticut Commission for Arts and Tourism. understand and disassemble the mechanisms which provoke that antagonism. Drawing strength from natural processes, historical people’s movements and their interrelationships, his writing and life’s work seeks a nurturing yet critical tone with the aim of inspiring and cultivating revolutionary thought and practice. 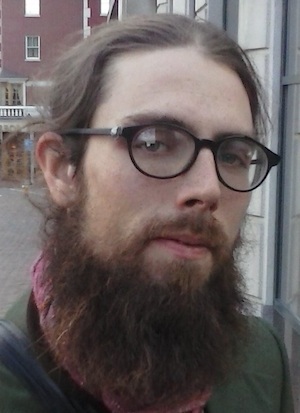 Josh’s poetry has been seen and heard in the Belfast, Maine Slam Poetry series, where he has often placed and won, the Republican Journal‘s Poetry Column, the Fellowship of Reconciliation’s Louisville newsletter, and in the streets and halls of various social justice and environmental gatherings. His self published collection, Catastrophic Status Quo was released in Fall 2014 through Trenchant Fist Press, a local publishing collective. 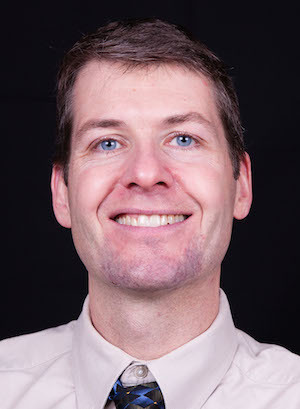 Brendan practices acupuncture and herbal medicine at Jade Mountain Wellness in Burlington, VT and has been practicing full-time for over 10 years. He holds a master’s degree in acupuncture and a bachelor’s degree in Political Science from Swarthmore College. 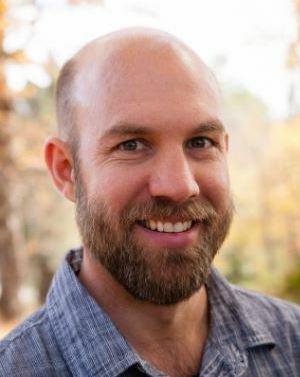 He teaches natural medicine around the US including as an adjunct professor at Johnson State College and on the faculty at the Academy for Five Element Acupuncture. In September 2015, North Atlantic Books will be publishing his first book, The Yin and Yang of Climate Crisis: Healing Personal, Cultural and Ecological Imbalance with Chinese Medicine. It presents the bigger and deeper issues of our warming planet and how what is happening with the climate is a mirror of what’s happening within us, individually and collectively. 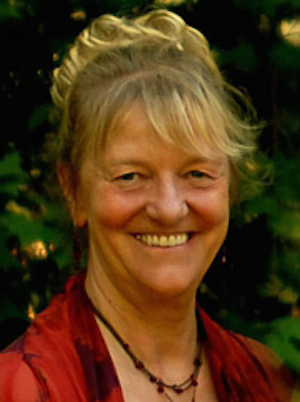 Co-owner of Heart of the Village Yoga in Manchester, Vermont (www.heartofvillageyoga.com) Jo has practiced yoga for 24 years, taught for 14; is certified to teach Astanga Yoga, Adaptive Yoga, Trauma Sensitive Yoga and Yoga Nidra. Her studies also include Yin, Iyengar and Anusara yoga. Jo is currently training to lead Yoga of 12 Step Recovery programs. Jo believes a balanced combination of physical activity, being in nature, practicing the different limbs of yoga and eating well, leads to spiritual, mental and physical health and happiness. She loves to share these practices with friends, family, and individuals in search of healing, well being, joy, and equanimity. production in the United States and the effects that this increasingly local and ethical food system is having on the environment, the economy and society. Derrick Lambert is the Child Nutrition Initiatives Manager for Hunger Free Vermont. 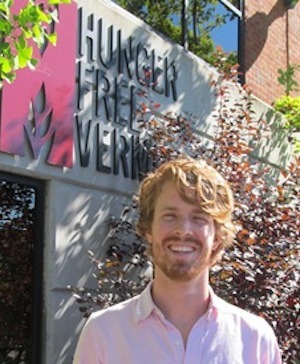 Derrick leads Hunger Free Vermont’s statewide effort to end childhood hunger in Vermont, primarily through providing training and technical assistance that leads to increased participation in federal meal programs by school-aged children. He specializes in developing and expanding summer food programs throughout the state and works with numerous partners across the state to achieve this goal. With a background in education and summer activities programming for children, Derrick understands the crucial role nutrition plays in academic achievement and overall well-being for all of Vermont’s children. Deborah Lazar is a nationally recognized award-winning oil painter who makes her home in Vermont. She is a member of Oil Painters of America, American Women Painters, the American Impressionist Society, and the Academic Artists Association. She won an award in 2015 at a Pleinair painting competition in Tequesta, Florida. Her work has appeared in American Art Collector, and Plein Air Magazine. Her paintings were chosen in 2014 for the OPA exhibition, as well as the Hudson Valley Art Association. She has attended several juried Plein-air competitions including 4 pleinair events in 2014; Telluride CO, Jupiter FL, Castine ME, and Blackstone Valley, MA. She hads studied with a number of internationally known artists attending workshops at the Village Arts of Putney, founded by Richard Schmid; including Nancy Guzik, Daniel James Keys, Michelle Dunaway, Casey Baugh, Albert Handell and Richard Schmid. She has also attended workshops with Jeremy Lipking, Scott Christensen, Dave Santillanes, Susan Lyon, Clayton Beck III, and has been a member of the High Street Painters portrait study group with Andrea Scheidler. 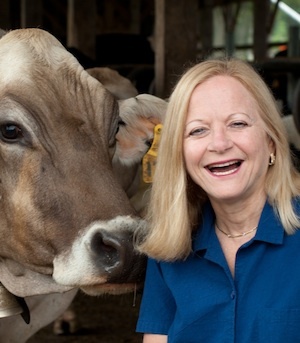 Laura Lengnick has explored food system sustainability through more than 30 years of work as a researcher, policy-maker, educator and farmer. Her work in sustainable farming systems was nationally-recognized with a USDA Secretary’s Honor award and she contributed to the 3rd National Climate Assessment as a lead author of the USDA report Climate Change and U.S. Agriculture: Effects and Adaptation. 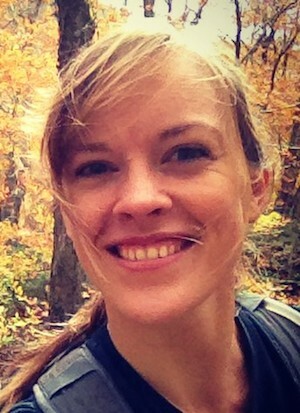 After more than a decade leading the academic program in sustainable agriculture at Warren Wilson College, Laura is now an affiliated researcher with the Appalachian Sustainable Agriculture Project’s Local Food Research Center in Asheville, NC. Her new book, Resilient Agriculture: Cultivating Food Systems for a Changing Climate was released in April 2015 by New Society Publishers. Julie Lineberger guides LineSync Architecture, a green and sustainable firm in southern Vermont awarded for both Design and Business Management. Her previous career in International Development included managing and participating in projects throughout the world. 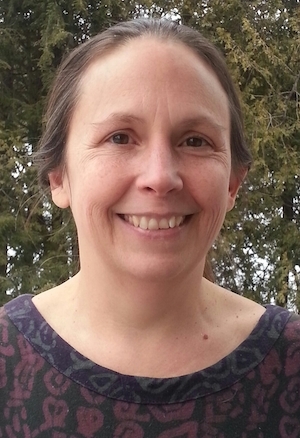 Appointed to both the Green Mountain Care Board Advisory Committee and the Medicaid and Exchange Board, Julie is participating in Vermont’s evolution to universal health care. 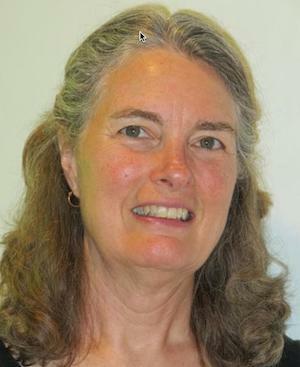 Board Member of Green America and Vermont Businesses for Social Responsibility, Julie is a consultant and speaker on various aspects of business management through her firm Rewiring Success. Other involvement includes The Wilmington Fund VT, Vermont Vision for a Multicultural Future and the Slow Living Summit. Heather Lyon is an artist born on the coast of Maine. She holds both an MFA and BFA from the School of the Art Institute of chicago. After living and working in France for four years, she returned to Maine in 2009 where she built an ecological home with her husband and son. Lyon’s work is an exploration of the palpability of place, systems and ways of perceiving energy, through the metaphoric use of materials. Her work often uses repetitive tasks such as piecing, sewing, wrapping, embroidery, knitting and binding. She has shown at numerous galleries in Chicago, Nantes (France), and Maine, as well as being a featured artist in ‘Scope’ New York. She has attended residencies at the Vermont Studio Center in Johnson, Vermont and at Atelier Alain LeBras in Nantes, France, as well as workshops at Haystack Mountain School of Crafts (Maine), Ox-Bow Artist’s Colony (Michigan), and the Burren College of Art (Ireland). She is currently the Exhibition Chair for the Deer Isle Artist’s Association in Deer Isle, Maine. Linda McInerney is a graduate of Middlebury College with a double major in Theater and French, and a student at the National Shakespeare Company Conservatory and also with Mira Rostova, Ms. McInerney has been a member of Actors Equity since 1983. She has worked for over twenty years as an actor, singer, director, and producer in New York and throughout New England, with credits including Circle Repertory Company and ABC’s All My Children. She earned an MFA in Directing from UMass and is Artistic Director of Old Deerfield Productions, where her credits includeThe Glass Menagerie, The Belle of Amherst, Blithe Spirit, Sealskin, John Brown’s Body, Women of the Valley, Roshomon, The Miser, Pride’s Crossing, Plainsong, Molly Sweeney, She Stoops to Conquer, Waiting for Godot, The Cure at Troy by Seamus Heaney, The Resistible Rise of Arturo Ui, andThe Importance of Being Earnest. 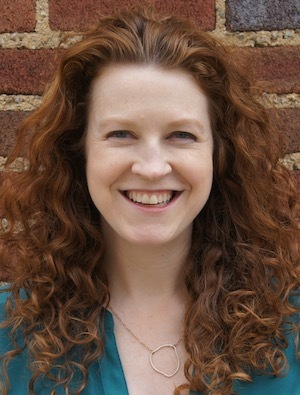 Ms. McInerney has also taught theater at Deerfield Academy, Deerfield Elementary School, Eaglebrook School, and UMass. She remounted the new opera that she created with Harley Erdman and Paula M. Kimper, The Captivation of Eunice Williams, that was performed at the Smithsonian’s National Museum of the American Indian in 2006. She co-created and directed and produced the original musical, Women in Arms, with libretto by Mary Elizabeth Burke Kennedy and music by Rosemary Caine that was presented at the Academy of Music in Northampton. She directed a new opera based on the assassination of Abraham Lincoln by Eric Sawyer called Our American Cousin that received a staged reading and recording in 2007 at Amherst College. More recently, Old Deerfield has presented Truth, a new folk opera about Sojourner Truth, the ex-slave, fiery abolitionist and women’s rights pioneer, and My Bronx, featuring Terry Jenoure. In 2014 Old Deerfield presented a new adaptation of Mary Shelley’s novel, Frankenstein written and performed by Summit participating artist Lindel Hart as the Creature. In June 2015, Old Deerfield is presenting The Full Disclosure Festival in Greenfield — a festival following the model of Double Take Fringe, but rather than curating the work, Old Deerfield is incubating and commissioning the work. McInerney lives in Deerfield with her husband, Chris. Daniella Malin shares in the ownership and running of Green Mountain Flour with her husband Zach Stremlau. Daniella shares in all aspects of running the business but focuses particularly on sourcing grains, communications, sales and marketing. When not helping with the business, Daniella is busy raising their two daughters and working as a Senior Program Manager with the Sustainable Food Laboratory in Hartland Vermont. In this capacity Daniella works with large multi-national companies on agriculture and climate change with a focus on agricultural carbon quantification in supply chains. Martinez is currently pursuing the next phase in her growing career as a farm and garden consultant, as well as continuing to work on her photography and designs. 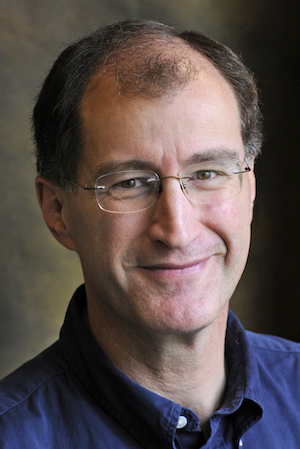 Rob Michalak is Global Director of Social Mission at Ben & Jerry’s. Rob sits on Ben & Jerry’s Global Leadership Team and is the lead advocate at Ben & Jerry’s to keep its Social Mission in balance with the company’s Product Mission and Economic Mission. Ben & Jerry’s Social Mission works to create innovative ways that the business can apply its many resources to achieve positive social change in the world and make progress on the company’s sustainable corporate concept of “linked prosperity,” which is the ambition that as the company prospers, its stakeholders prosper too. Rob has been with Ben & Jerry’s twice. His first role at the company was as its PR Czar from 1989-1998. He came back to the company to serve as its Social Mission Director starting in 2006. 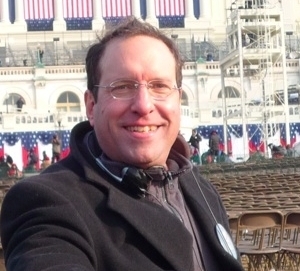 Before that, and in between his Ben & Jerry’s days, Rob worked in broadcast media holding a variety of jobs in news, public affairs and independent productions. Ehrmann Arizona Dairy (2014), both in partnership with the European company, Ehrmann AG. a leader in implementing environmentally-sustainable business practices. Particular areas of expertise include new product/concept creation, financial planning and forecasting, new technology implementation, domestic & foreign market and product analysis. per year in dairy commodity risk. products, respectful and responsive interaction, and a supportive corporate culture. Moffitt has been quoted and interviewed in publications including The Wall Street Journal, CBS Business Radio, Fortune Magazine, Forbes Magazine, Distribution Channels Magazine, and Redbook Magazine. He holds a Bachelor’s Degree from Colby College and a Masters of Science in Microbiology from in the University of Wisconsin (Madison). 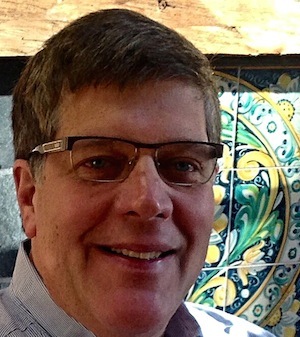 He acts in an advisory capacity to a number of businesses, regularly participates as a judge and mentor in local and state business plan competitions and maintains a strong commitment to supporting the local community and Vermont agriculture. Moffitt lives with his wife and two children in Concord, MA. 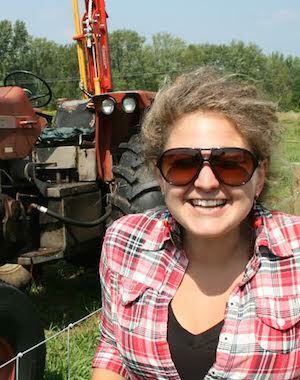 Maddie Monty is the Policy Advisor and Office Manager for the Northeast Organic Farming Association of Vermont (NOFA-VT). Before joining the team at NOFA-VT, Maddie worked with the VT Right to Know GMOs coalition in 2014 to advocate for mandatory GMO labeling in Vermont. At NOFA-VT, she continues to work on a variety of state and national food and farm policy issues affecting Vermonters. Maddie is committed to serving as a policy advocate on behalf of Vermont’s organic farming community, and hopes to help bridge the gap between food and agriculture policy and those it impacts. Orly is the founder and executive director of Strolling of the Heifers. 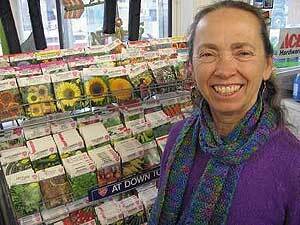 Drawing on her 20-year background as an educational consultant, she gathered a group of volunteers in 2001 to help focus attention on the difficulties of small family farms in the Brattleboro region. In 2002, they organized the first annual Strolling of the Heifers, a parade and festival celebrating farmers and aiming to connect people with healthy local food. With the growth in the local foods movement since then, “the Stroll” has expanded to a full weekend which is annually rated one of Vermont’s Top Ten Summer Events (and in 2013 was rated one of America’s Top 10 Summer Festivals). Under Orly’s leadership, over the years Strolling of the Heifers launched educational programs, a microloan fund, and farm internship program for youth, which are now all carried on by other organizations. In 2011, the Slow Living Summitwas added, immediately preceding Stroll Weekend. Strolling of the Heifers also currently organizes the Vermont Farm/Food Business Plan Competition in collaboration with Vermont Technical College. 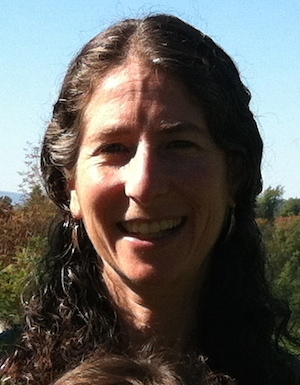 Sara Newmark is the Director of Sustainability at New Chapter, Inc. of Brattleboro, Vermont. New Chapter is a certified organic manufacturer of whole-food dietary supplements. Sara ensures that all actions by New Chapter live up to its high standards of ecological stewardship, from product sourcing and packaging to New Chapter’s philanthropic efforts. She sits on the board of the international Sacred Seeds Project, which works with leading botanical gardens and ethnobotanists to preserve plants of traditional significance. She is also a board member of the largest network of socially responsible businesses, Vermont Business for Social Responsibility. Colin O’Neil is the director of government affairs for Center for Food Safety. Since joining in 2008, he has contributed to the expansion of the Center’s policy campaigns, organizing and overseeing daily operations of the Center’s congressional and federal policy work. He regularly meets with Members of Congress and their staff on issues of concern to the food safety community, including regulation and oversight of genetically engineered (GE) crops and animals, food and farm policy, organic agriculture and climate change, as well as nanotechnology and synthetic biology. Colin acts as a spokesperson for a range of issues and actions by the Center, and has been interviewed and quoted by a variety of print and broadcast media outlets, including NBC, Politico, Dow Jones, Huffington Post, USA Today and Fox News. Colin graduated from Beloit College in Wisconsin and is an avid outdoorsman. Ezlerh Oreste is a local actor/comedian & food grower. Growing up in Texas, healthy food was a must. For the last to growing seasons, Ezlerh has been growing food. He is excited to learn more about growing food and creating a global sustainable system by taking local action. 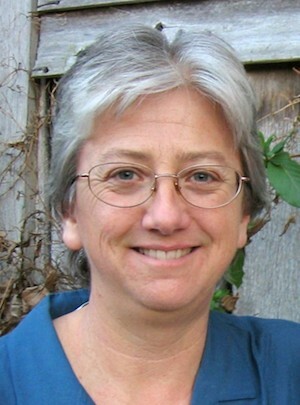 Martha Page is the Executive Director of Hartford Food System, Inc., a nonprofit organization that has been devoted to food security programs, including urban agriculture, policy, and advocacy since 1978. Before coming to this role in January 2010, Martha was the Environmental Health Director for the City of Hartford Department of Health and Human Services. Prior to completing a Masters Degree in Public Health in 2009, Martha spent more than 25 years in the health insurance industry in a number of executive positions. In addition to the MPH degree, she has a CPH designation, an MBA and a Graduate Certificate in Nonprofit Management. 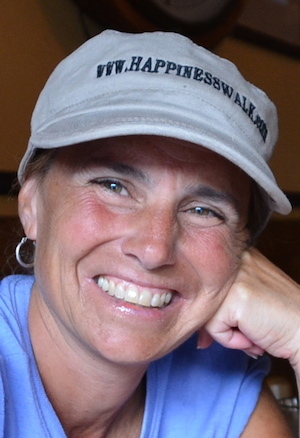 Outside of work, Martha volunteers as a member of the Hartford 2000 board of directors and in cycling advocacy. Martha and her husband live in Hartford and have four adult children, five grandchildren, and a Border Collie. Although Howard Prussack, owner of High Meadows Farm in Putney, Vt., has been growing vegetables on his 65-acre farm since 1974, the use of protected structures to finish crops has been a relatively recent addition. His operation was the first certified organic farm in Vermont and is currently USDA GAP-certified (Good Agricultural Practices) and USDA-organic certified. High Meadows Farm specializes in culinary potted herbs, rosemary and lavenders, Unusual vegetables and heirloom tomatoes, and more! 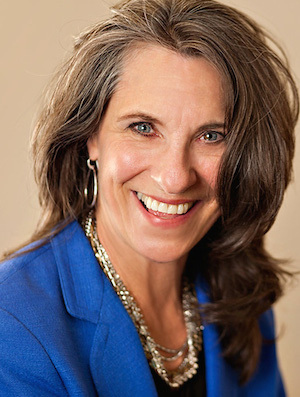 Vicki Robin is a prolific social innovator, writer and speaker. She is coauthor with Joe Dominguez of the international best-seller, Your Money or Your Life: Transforming Your Relationship With Money and Achieving Financial Independence (Viking Penguin, 1992, 1998, 2008). It was an instant NY Times best seller in 1992, steadily appeared on the Business Week Best Seller list from 1992-1997 and remains an Amazon. It is available in a dozen languages. Her new book, Blessing the Hands that Feed Us; Lessons from a 10-Mile Deit (Viking/Penguin 2014) tells how her experiment in 10-mile eating not only changed how she ate, but also renewed her hope and rooted her in her community. She calls this “relational eating” and recommends a SLOW diet, Sustainable, Local, Organic and Whole. 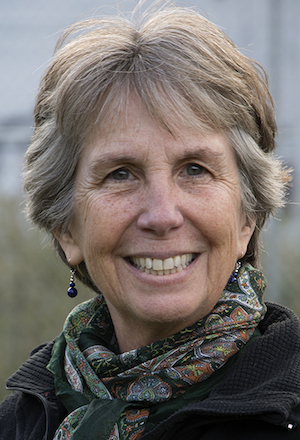 Vicki has helped launch many sustainability initiatives including: The New Road Map Foundation, The Simplicity Forum, The Turning Tide Coalition, Sustainable Seattle, The Center for a New American Dream, Conversation Cafes, Transition Whidbey, the 10-Day Local Food Challenge, the Local Food Design Lab and more. She currently lives on Whidbey Island in Puget Sound where she does stand-up and improv comedy, and works on community projects like Whidbey Island Local Lending, the Fifth Street Commons and Whidbey Island Friends of Food and Farming. Susan E. Rosano, MA, is a Mosaic and Mural Artist with a Masters Degree from Wesleyan University. 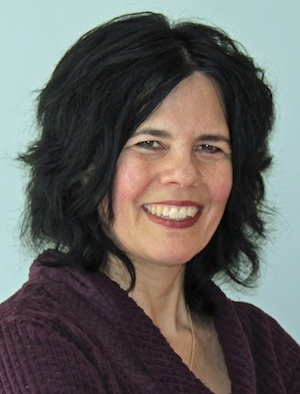 For the past ten years she has worked as a Master Teaching Artist on the juried rosters of the Vermont Arts Council, Arts for Learning Connecticut and Life Time Arts in New York City. Susan works with communities to create painted or mosaic murals that have current, relevant themes. Susan’s murals grace the walls of schools, hospitals, libraries, museums and other public spaces around New England. Recently, Susan has created nine murals with parents and students at an elementary school in Newtown, CT with themes that include respect, friendship, hope and kindness; all are symbols of a community that is moving on from tragedy. Another one of Susan’s popular community arts projects called “Oil Drum Art,” consists of painting murals that make an artistic statement about environmental issues on recycled 55-gallon oil drums. She is an art professor at the Charter Oak State College and a credentialed Expressive Arts Therapist and Counselor. Susan is also a mosaic artist, creating her own artwork at her studio in Guilford, Vermont. Website: www.newenglandexpressivearts.com. 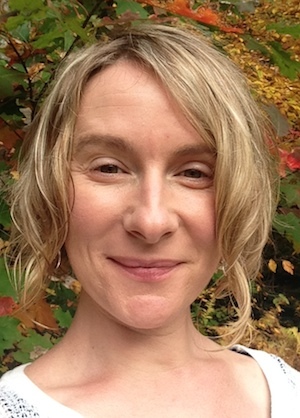 Emily Ryan, MSc, is an independent transformative educator and facilitator. She works collaboratively with organizations and individuals to design and deliver unique learning journeys for communities of people all over the world. The goal of each offering is to empower participants to reconnect to their ecological identity by providing information, guidance and support. This is done through holistic, experiential practices that honor and encourage all ways of knowing, particularly the desire to return to a wholehearted, authentic state of being that experiences the primacy of interconnectivity. 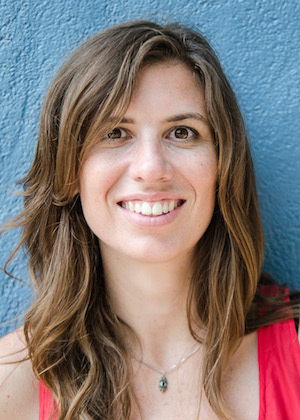 Emily works with organizations such as the Global Diversity Foundation, Bioneers, Schumacher College, Women’s Earth Alliance, and the Pachamama Alliance. Emily was raised in rural Vermont, and after fifteen years of living and working in San Francisco, CA. has returned to make her home here once more. to Gay Rights, to the surrealist rites of Haiti. Here on these art fertile shores of mid-coast Maine, Toussaint St. Negritude finds yet further voice and further harvest for all our declarations to come. 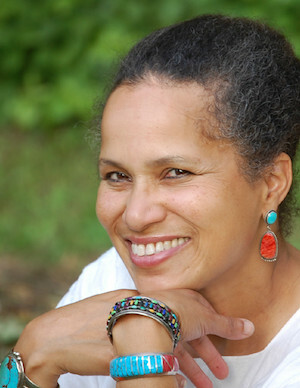 As Poet Laureate of Belfast, Maine, Toussaint sponsors a myriad of poetry programing, from biweekly readings, to collaborative performances of local poets and other artists, to the creation of the upcoming journal of poetry Geezum Crow, to hosting the annual Belfast Poetry Festival. 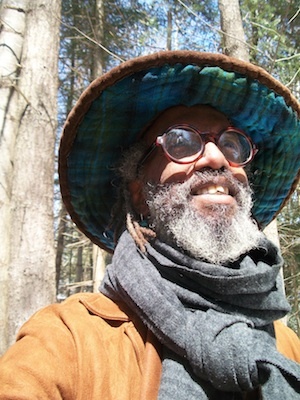 Toussaint St. Negritude has been published and recorded broadly, and along with an active tour of performances, he has just published a new book of poems, Upheave, by Trenchant Fist Press, 2014. Leda Scheintaub is a cookbook author, editor, and recipe developer whose background includes stints as a managing editor at Penguin Books and the New Press. She has collaborated on multiple celebrity cookbooks; her most recent works are Cultured Foods for Your Kitchen: 100 Recipes Featuring the Bold Flavors of Fermentation (Rizzoli, 2014) and The Whole Bowl: Gluten-Free, Dairy-Free Soups and Stews (Countryman Press, 2015; coauthored with Rebecca Wood). You can visit her at ledaskitchen.com. Leda and her husband, Nash Patel, run Dosa Kitchen, a farm-to-truck Indian eatery based in Brattleboro, Vermont; visit them at dosakitchen.com. 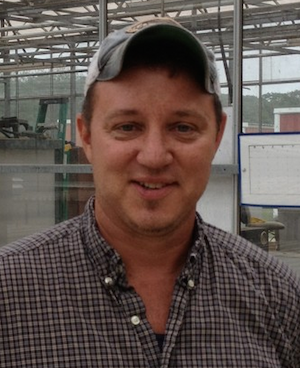 Andreas is Director of Farm Production Enterprises at Hawthorne Valley in Ghent, New York. He earned his Masters of Business Administration from George Washington University, in Washington D.C. During his time as a student, he and two classmates founded Capital Kombucha, the District’s first local kombucha brewery. After two years of operation, Capital Kombucha has become a recognized brand carried by over 100 stores between Northern Virginia and Philadelphia, including Whole Foods, MOMs Organic Markets, Sweetgreen, and Dean&Deluca. Prior to starting Capital Kombucha, Andreas spent three years as a management consultant focused exclusively on helping large family-run enterprises manage generational succession. Alex Risley Schroeder, M.Ed., D.Min., is a skilled trainer, educator, and consultant with nearly 20 years of experience in the fields of adult basic education and workforce development. 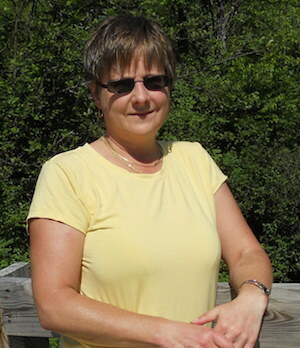 Since launching Finding Earth Works in late 2006, she has consulted with numerous agencies to help educators and program developers integrate “green economy” thinking into their curricula, and is a regular panelist on the subject of green economy jobs for adult learners. 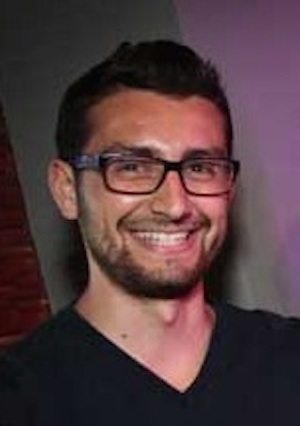 Alex’s graduate work has focused on adult and community education. Her dissertation investigated teaching and learning in adult basic education within the larger context of our relationship to Earth and the social, environmental and economic justice dimensions of that relationship. 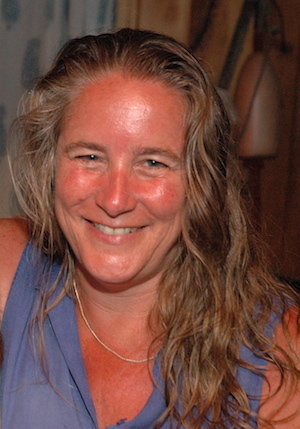 As the Director of Rural Vermont since 2012 and a Vermont citizen since 1997, Andrea brings over 25 years of experience in community organizing, communications, and advocacy to her work on behalf of Vermont’s family farms. 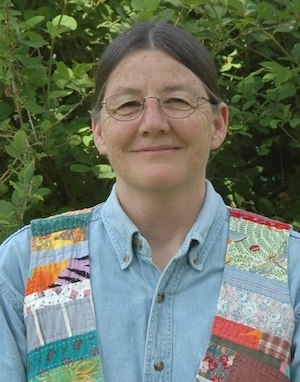 Andrea first gained experience organizing with agricultural communities with the Northern Plains Resource Council in Montana. She spent five years as a field organizer with farmers and ranchers who were being affected by the environmental and social impacts from industrial-scale agricultural, mining and energy operations. As a dedicated local food “eater”, Andrea believes in economic justice for the people who feed us all. Sara Stowell works for the Vermont Migrant Education Program providing educational services for eligible farmworkers and their families on farms all over Vermont. From 1989 to 2004 Sara worked in solidarity with the people of El Salvador. In 1991 and 1992, she investigated grave human rights abuses for a non-governmental human rights organization for presentation to the United Nations Truth Commission. She continued working in El Salvador on grass roots participation in the emerging democratic spaces, concentrating on rural development projects for newly returned guerrilla combatants and their families. This included working to change US policy towards the region which continues to be a hindrance to building viable sustainable agriculture networks and a strong local food system. Before returning to the Vermont in 2004, Sara was the field office director of the SHARE Foundation: Building a New El Salvador Today. Sara is slowly rejuvenating her family´s small farm in Proctorsville, Vermont. 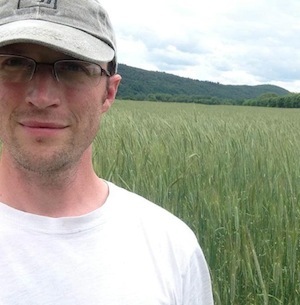 Zach Stremlau owns and runs Green Mountain Flour with his wife Daniella Malin. Green Mountain Flour is an artisan bakery and micro flour mill in Windsor Vermont built on bringing back the story of bread from field to table. The mill provides fresh stone-ground flour from locally sourced grains in the Upper Valley and distributes throughout the state through Black River Produce. Stremlau has been a professional chef and baker for 25 years and has been baking with local grain exclusively since 2009. Art. Love. Dreaming. Ocean. Suki enjoys making things for and with people. She facilitates shamanic art sessions to journey inward, play with color, and re-connect to our inner wisdom. Suki creates art in many art mediums from felting to glass work, and facilitating art as a path to healing for others. Suki has been studying Hawaiian Shamanism for the past fiveyears with Hank Wesselman of Shared Wisdom and started to facilitate shamanic journeywork, soul retrieval, and healing sessions for people who are interested in delving into the nature of their existence and life path. This includes helping others to heal from past traumas and experiences and to move closer to finding true soul purpose and passions. Learn more about Suki by visiting: http://sukihealingarts.com/. Dar Tavernier-Singer is a chocolatier & co-owner of Tavernier Chocolates in Brattleboro. With her husband, John Singer, a coffee roaster & former manager of Mocha Joe’s Roasting Co. & former general manager at BuildingGreen, they create hand-crafted confections that focus on fresh, local ingredients. Dar has a degree in Biology from Ithaca College where she presented her undergraduate thesis in botany, & worked as a chemist/analyst in Boston. Combining her background in science, years of experience as a graphic designer & in the fine arts, along with her love of food & the outdoors, she has found the perfect combination in her kitchen space, which she considers both an art studio & laboratory. 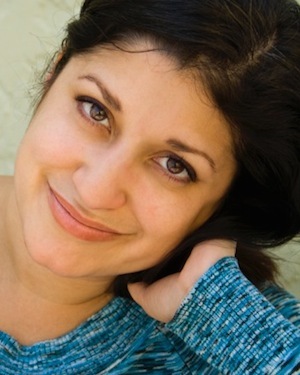 Eliani Torres is a writer (short stories, essays), and professional copy editor. Ms. Torres was raised in Southern California and studied writing at Bennington and Marlboro Colleges. But for a three-year stint in L.A.—where dipped her toe into advertising and stand-up comedy—she has made southern Vermont her home since the early 1990s. Her short fiction has appeared in Strange Horizons, Whatever,and Farthing, was recognized by storySouth as a “Notable Story of the Year,” and earned honorable mentions in several year’s best anthologies. Most recently, her short story “Salamander” was published in Best Women’s Erotica 2013 (Cleis Press). She is at work on a collection of essays and a novel. Sara Trunzo is the Director of Veggies For All, a food bank farm in Unity, Maine that works to relieve hunger by growing vegetables for those in need. VFA, which is a project of Maine Farmland Trust, has grown and distributed over 100,000 pounds of organic produce to over 1,500 Mainers facing food insecurity, since 2007. She has worked in higher education sustainability, sustainable agriculture, and community development- with a focus on healing rural hunger. Sara provides leadership to the Maine Food Strategy and Cooperative Extension, among other local and regional efforts. She is a graduate of Unity College and an Environmental Leadership Program senior fellow. Michelle Wallace is the Program Director at the Vermont Foodbank. She provides leadership, strategic direction and supervision of community-based programs and initiatives that promote community wellness as it relates to access to fresh produce, nutrition and health education, workforce development and community food security. She oversees several Vermont Foodbank programs including the Gleaning Program, Community Kitchen Academy, VT Fresh and Pick for Your Neighbor.These programs and initiatives both respond to the need for emergency food and promote health by increasing the availability, demand and utilization of fresh produce amongst a network of 225 partnering agencies that serve 153,000 (1 in 4) Vermonters at risk of food insecurity and hunger each year. 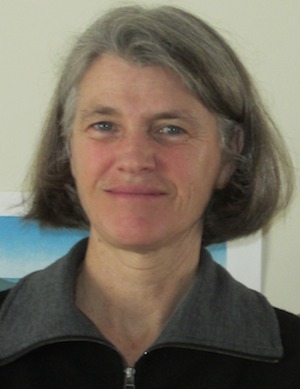 Joan Weir is the Southeast Regional Director for the Vermont Land Trust. In this role for 16 years, she is responsible for initiating contact and responding to landowner inquiries for land that has potential for conservation; assessing land to be conserved; and negotiating financial and conservation transactions. The regional office is in Brattleboro. More information about the Vermont Land Trust can be found at www.vlt.org. 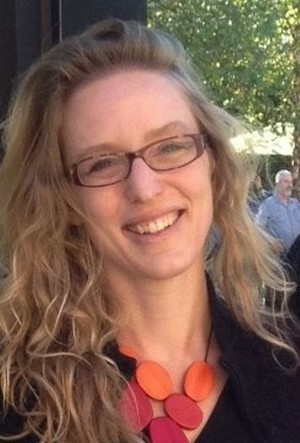 Linda Wheatley is co-founder and co-coordinator of GNHUSA (Gross National Happiness USA). 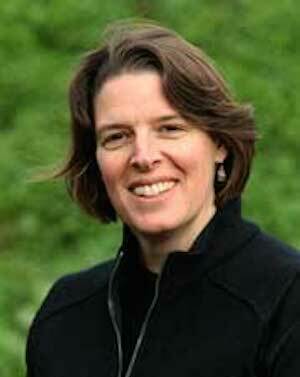 She is also Director of the Vermont Leadership Institute and Network at The Snelling Center for Government. She has traveled extensively; her Montpelier to Thailand Project has immersed over 100 central Vermont teens in village life in rural Thailand. A trip to the 5th annual GNH research conference in Thimphu, Bhutan in 2008 was the trigger for establishing GNHUSA in 2009. Linda has run long distances for over 30 years, often for a cause. She lives in Worcester, VT and has two young-adult children. 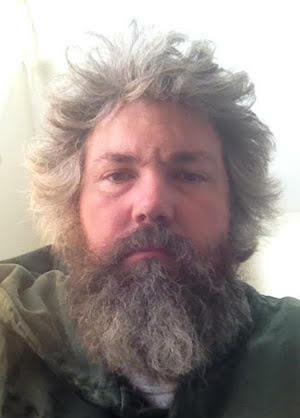 Over the past twenty years Keith has worked as an educator and researcher, through extension work at the University of Massachusetts, a General Manager for two of the largest aquaculture and aquaponics facilities in the country, a consultant and presently Executive Director of Island Grown Initiative. Over the years Keith has designed, constructed and operated Controlled Environment Systems such as recirculating aquaculture systems (RAS) hydroponic and aquaponic systems .Keith has worked in many aspects of agriculture such as, operations, farm financial modeling and crop planning, processing plant operations, but his real passion is working with others designing and constructing the right systems for the particular needs. Cheryl Wilfong is a Master Gardener, mindfulness meditation teacher, and the author of The Meditative Gardener: Cultivating Mindfulness of Body, Feelings, and Mind. Her book has won seven book awards. Her blog, The Meditative Gardener, has won a Blogisattva Award for Best Achievement Blogging on Buddhist Practice or Dharma. Alex Wilson is founder and president of the Resilient Design Institute, a nonprofit organization focused on advancing practical strategies for increasing the resilience of buildings and communities. He is currently working on an initiative to make multifamily affordable housing more resilient, and he writes widely on the Resilient Design Institute website about various issues related to resilience. 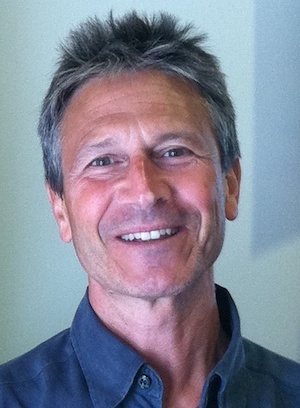 Alex is also founder (in 1985) of BuildingGreen, Inc., a 15-person company, based in Brattleboro that is known nationally for its objective reporting on environmentally responsible building practices. 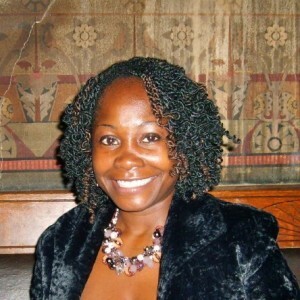 Jerelyn Wilson is owner and outreach director at BuildingGreen, Inc., Brattleboro. Jerelyn represents BuildingGreen at conferences, and promotes their resources on sustainable design and construction to building professionals and relevant organizations and institutions. She is responsible for managing BuildingGreen’s college and university subscriber accounts. She is grateful for the opportunity to promote information resources that help architects and builders use more sustainable building practices and products. Transforming the building industry is a big step toward a more sustainable future for our planet. She completed training as a Waldorf teacher and taught for four years in the Rudolf Steiner School in New York City. She has lived in Vermont since 1983.